Imagine being weightless, floating in a custom, 94-100° heated pool, being gently stretched and massaged from head to toe. 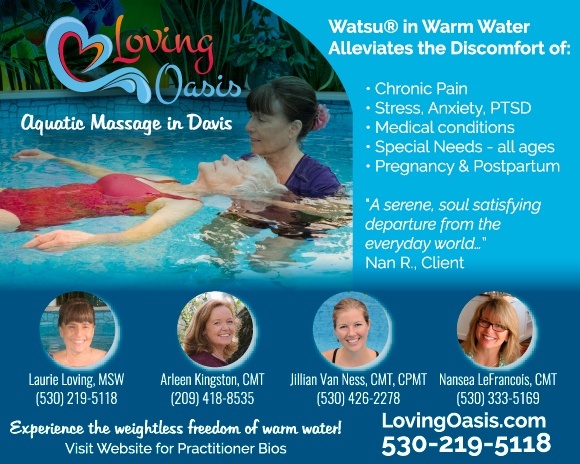 We are a collective of certified, passionate Watsu® practitioners supporting clients of all ages, stages, and abilities with individual sessions, classes, and group soaks. Feel your spine lengthen and move freely, your hips and shoulders open and rotate, and your mental and emotional worries drift away. Come with stress and muscle aches… leave floating on a cloud! Make it a mini-retreat by staying overnight in our beautiful guest rooms! Contact us today for help choosing a practitioner, scheduling a session, or ordering a gift certificate. Mention WellBEing for $10 off your first session. A healing sanctuary in resonance with nature.